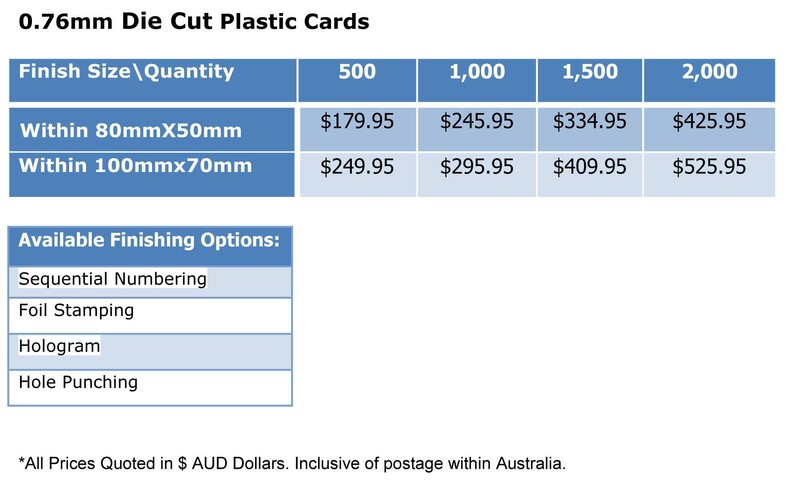 Please note: For custom shaped plastic business cards the turnaround time is longer than normal cards, around 8-12 business days. 1. Can I custom any shape as I wish? 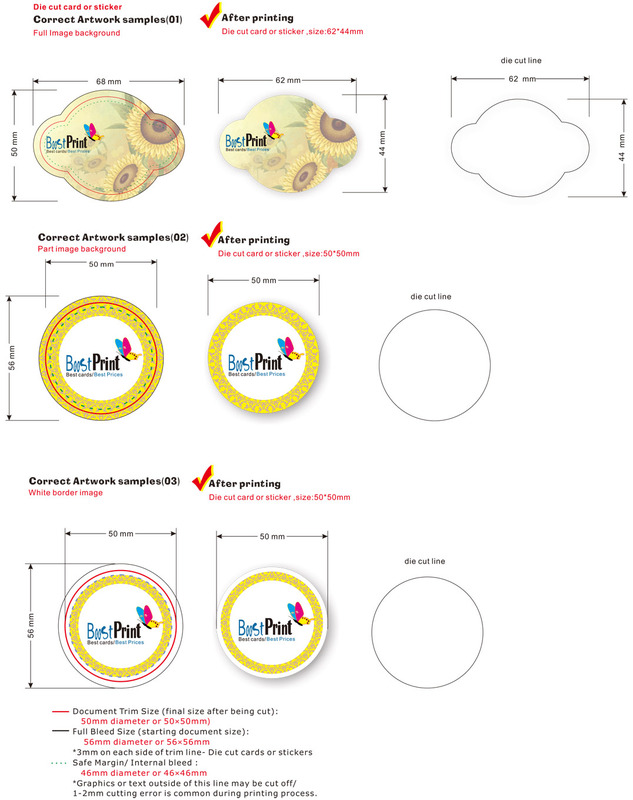 Unfortunately not, die cut business cards have special requirement to the artwork, please check the specification for possible problems, it is better to send us the artwork to check at first. 2. Can the cards be larger than 82mm× 52mm? Yes, we can produce larger size. You can name the size and we will give you a quick quote. 3. 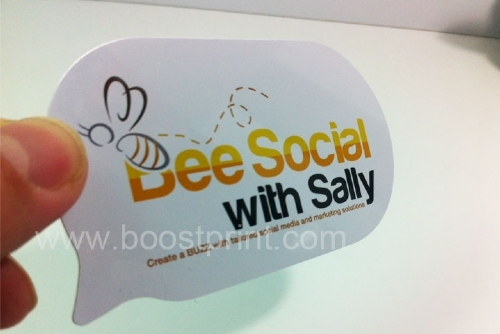 Can Die Cut / Custom Shaped Plastic Business Cards be written on?